Mistakes have plagued Virginia since the start of the season; two huge mistakes cost Virginia aA 45-31 loss to the Panthers. Virginia came into this game on a two-game winning streak, while the Panthers were also on a two-game winning streak. first touchdown. Pit scored on the second possession that they had after a Virginia three and out. With only seconds left on the clock before halftime, Benkert was picked off by Jordan Whitehead. Whitehead took it to the house and Virginia’s momentum was suddenly in jeopardy. After a pretty explosive first half from both teams, the second half was a defensive struggle for Virginia. Virginia did not have much success with getting first downs and the Panthers put a lot of pressure on Benkert. Reid was not that effective with getting to Pitts’ secondary and their run defensive shut down any holes that Reid was trying to get to. Virginia could not do anything offensively or stop the Panthers from scoring defensively. 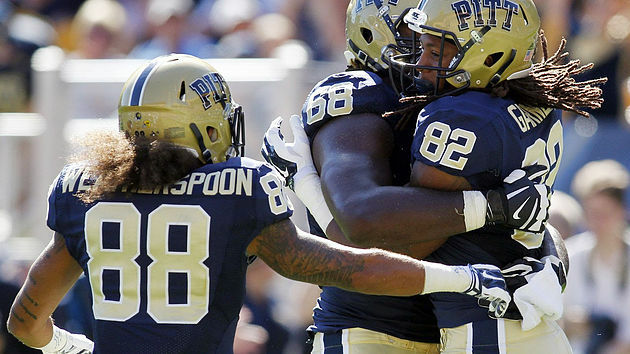 Pittsburgh scored twice in the second half to put the game away 45-31. “Really, this was a game of a few special-teams plays and an interception returned for a touchdown,” said Mendenhall. K.Benkurt finished the game 278 yards, one touchdown, and one interception, while Nathan Peterman finished the game 137 yards, two touchdowns, and zero picks. Morgan State Off To Their Worst Start Since 2013; Beaten By Rutgers, 65-0.